How to Create Volume and Texture With Scissors When Cutting Hair. Many people want to have more texture and volume in their hairstyles. Hairdressers often use certain techniques to create this effect with their clients' hair. Learn their secrets so you can create volume and texture with scissors when cutting hair. Start by washing and cleaning the hair of your client. You can blow dry the hair before you begin to create volume and texture with scissors. 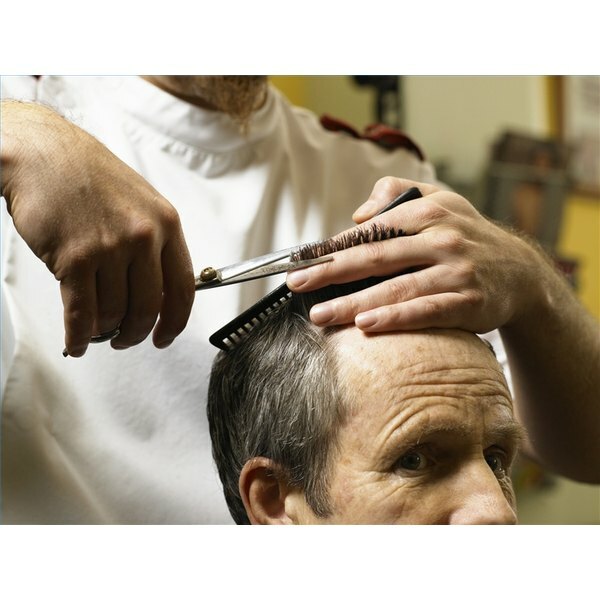 If the hair is clean, then it is easier to manage while you are cutting your client's hair. Use your scissors to create texture by taking one strand at a time. Take the piece of hair between your fingers and trim the ends into a pointed end. This cut will give the hair more volume and texture. Keep repeating throughout the hair. Take more hair at the back top area of the head and start to cut each strand lightly. Pull your scissors through the hair to trim the hair and create a shape. Be gentle and apply some pressure as you pull the scissors through the hair. It is a good idea to make sure all of the hair is dry so you can see how short you are cutting it. Repeat the same steps from the sides of the head. Angle your scissors so they cut towards the back of head. This step will make the back of the hair more fluffy and shapely when you are finished. Trim the bottom of the hair lightly to allow the hair room to grow. Cut off all dead ends and take half an inch off. Ask you client if this is okay before you start cutting and trimming.